It takes me months to post other peoples's requests, whether for a blog subject or something else. 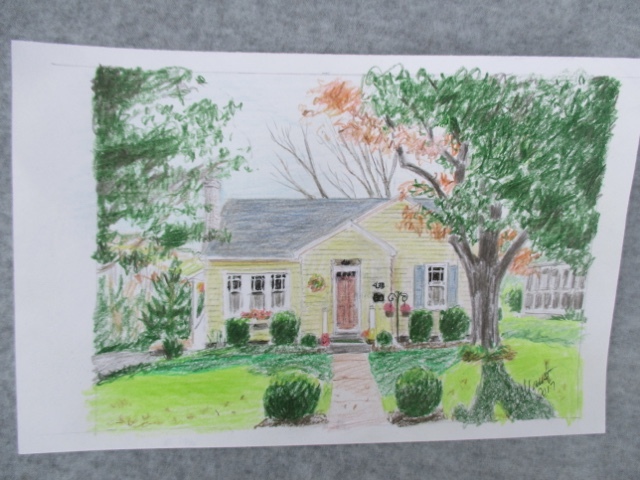 Some time ago, a long time acquaintance asked me to feature her house portraits and provide information where you may have her paint a portrait of your own house. 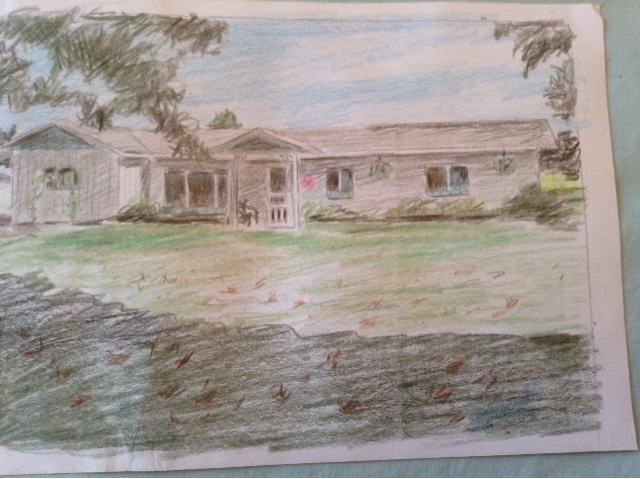 Above is the one she made from a photo of my residence, and below is another she has done. These portraits you will frame, yourself. Lynn comments here a lot, and is in Pennsylvania. Because my house is not my own, I had not considered it portrait-worthy, but I quite liked the sketch which made it so cheerful to me. A century ago in Victorian culture, people made a point of getting their photos taken with their house in the back ground. You can sometimes find such photos in antique stores. Those generations before us had a definite attachment and relationship to the dwelling in which they spent so many hours. Often the house was custom made for the couple when they married, and so the place was very personal. There were house portraits in those days, too, done by artists.